5030 R.Burkina Ouagadougou 2318 Nice African mx with talk by man. 6165 R.Nationale , NﾕDjamena 1935 African pop mx with talk in FF. 6139.78 R.Lider, Santafe de Bogota 0659 Chime followed by ID and freq. 6139.78 R.Lider, Santafe de Bogota 0715 Many Latin mx and Radio Lider ann. 5025 R.Rebelde, Havana 0658 Very nice Latin mx. ID several times. 3215 South African Radio League, Meyerton 1934 ID, amateur radio info. 3320 R.Sonder Grense, Meyerton (Presumed) 2029 Rock, Pop mith Afrikans DJ. 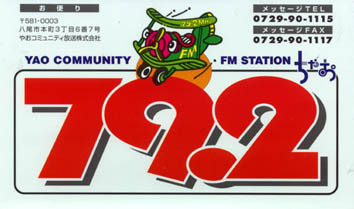 3199.98 TWR Swaziland, Manzini 2028 Pop Music, TWRﾕs Station Jingle herad. 3944.76 R.Vanuatu, Vila 1946 Local pop and Island mx with talk by man. 4910 Zambia Nat BC Lusaka 1955 African pop mx 2000 Radio one ann.